Charlotte Joko Beck Joy is being willing for things to be as they are. Charlotte Joko Beck (1917-2011) was a Dharma heir of Hakuyu Taizan Maezumi and also studied with Haku'un Yasutani and Soen Nakagawa. 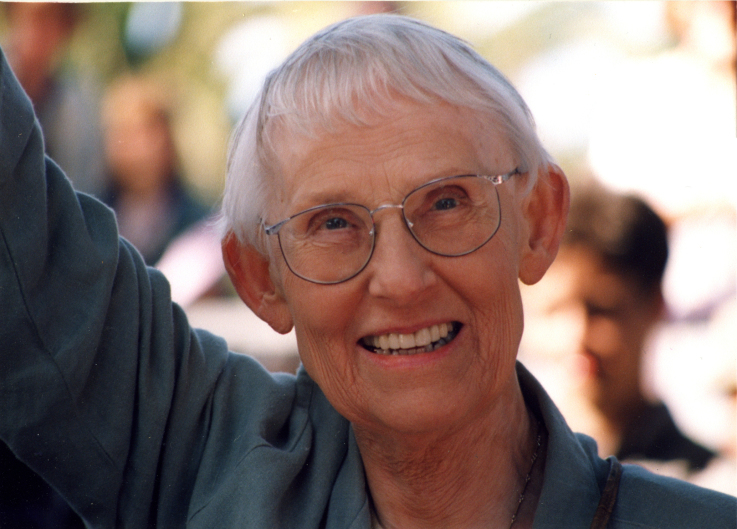 She established the Zen Center of San Diego in 1983 and was the author of Everyday Zen (1989) and Nothing Special (1993). 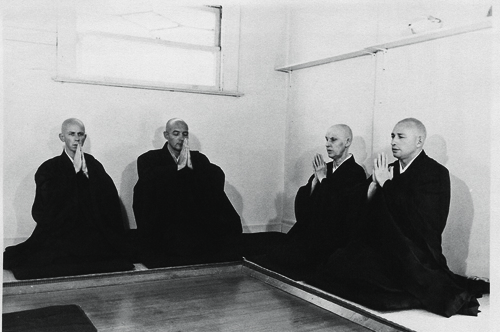 It is no exaggeration to say her teaching transformed the nature of Zen in America, restoring a sense of emotional reality to a practice that all too often bypassed the “merely” psychological in the pursuit of realization. In a generation plagued by scandal, including the misconduct of her own teacher, she had the courage to challenge the traditional modes of teaching that failed to address the underlying character flaws. She made facing anger, anxiety, and self-centeredness central to our work on the cushion, examining how these marked the limits of our willingness to fully be present to the moment-by -moment truths of interconnectedness and impermanence. She taught us to find the Absolute in each moment regardless of its content, and not to turn practice into the pursuit of kensho experiences. Enlightenment, she taught, was the absence of something, not the added presence of some special experience. Being just this moment was compassion's way. As one of the first Western women teachers, she attempted to free American Zen from many of the trappings of Japanese culture and patriarchy. She discontinued shaving her head, wearing formal robes or using Japanese titles. One of her great virtues as a teacher was that she did not try to clone herself. She let her own students and heirs digest her teaching and grow in their own different directions. Joko does not leave behind an institutional legacy. There is no central Ordinary Mind training center. There is no hierarchy among her Dharma heirs, no single voice that clearly continues her message. Her legacy is broad and cultural, a sea-change in how our generation thinks about the nature of practice and its relationship to our personal psychological make-up. Her Dharma seeds are scattered far and wide. They will go on sprouting in ways we cannot predict and cross-fertilize with other lineages. The Ordinary Mind School may grow or wither, but her influence is now everywhere.